At Farmer Phil's Festival we have three camping fields, including a dedicated quiet family field. Our camp sites have excellent toilet facilities dotted around and in our main camp site you will find hot showers, which are free of charge! These facilities are cleaned on a regular basis throughout the week and twice daily over our busy weekend. 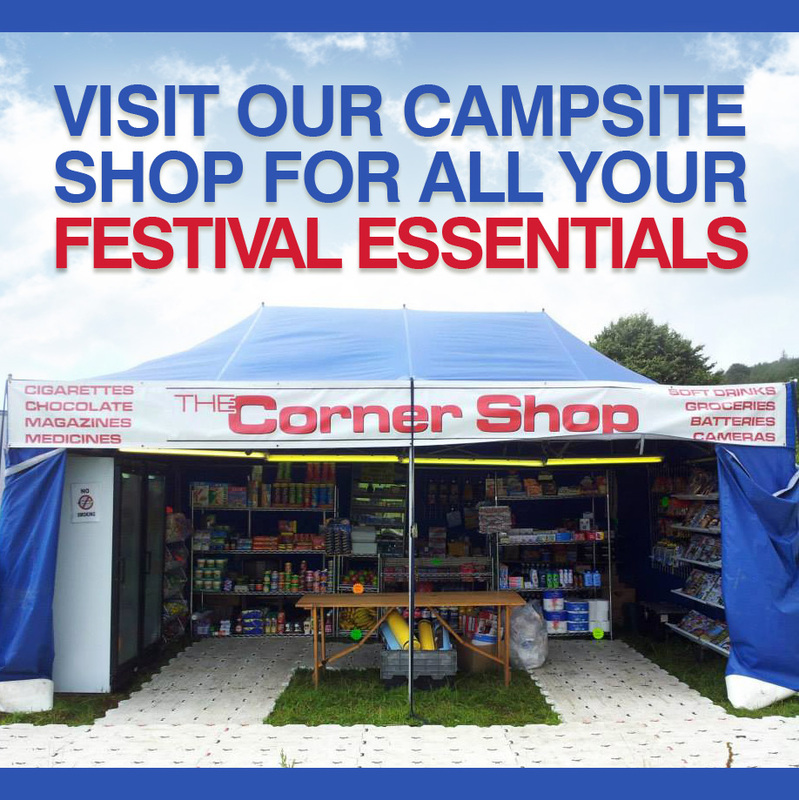 The main campsite is also home to our fantastic camp site shop, run by Wentnor Stores who are local to the area. Here you will find your everyday essentials, forgotten items and little luxuries to make your festival experience just that little bit better. Everything you'd expect to find in your local corner shop! Fires are allowed on our campsites but they must be raised off the ground using a fire pit or something similar. Wood will be available to buy throughout the week from the ticket office and the truck that makes its rounds on site. Barbecues are also allowed but with both of these we ask you to remain health and safety aware, taking the appropriate precautions where required. Make yourselves familiar with our fire assembly points and note where our fire safety team are situated - just in case. All fire lanes must be kept clear at all times - if you camp in a fire lane you will be asked to move! Our rules are simple and there to protect our customers but also our licences. Please be respectful. Our stewards will be on hand if you have any questions during your stay with us.